“There is this famous saying that it takes money to make money. But in actuality, in my eyes, it really doesn’t. It takes brains, a lot of drive and support,” says Akon. He recently attended the Global Entrepreneurship Summit held in Nairobi. Aliaune Thiam (known by his stage name, Akon) is an American-Senegalese R&B singer, songwriter, record producer and businessman. He is globally recognised for hits such as “Smack That” and “Lonely” and has founded two record labels, Konvict Muzik and Kon Live Distribution. Having spent some years as a child in Senegal in West Africa, he is also one of three co-founders of the Akon Lighting Africa initiative, which aims to bring solar power solutions to hundreds of millions of Africans via public-private partnerships. The initiative was launched in 2014 and already has a presence in 14 African countries. 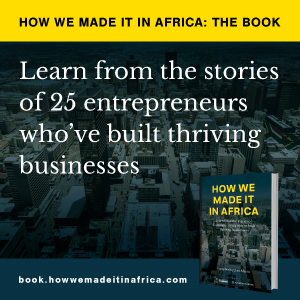 How we made it in Africa talks to Akon about what it takes to be a business success, and his advice to budding entrepreneurs. This is one of the most basic concepts of business, notes Akon. Identify a need and build a business around addressing it. “Everywhere you go there will be something needed and that the people can’t live without – that they have to have,” he highlights. “There is this famous saying that it takes money to make money. But in actuality, in my eyes, it really doesn’t. It takes brains, a lot of drive and support,” he continues. Entrepreneurs should strive to be in a position where they can earn enough to reinvest back into expanding their ventures, he adds, but in the early stages it is clever thinking and determination that generates capital. “I think what a lot of people do is they put themselves in a position where they can’t move unless they have money. But yet there is so many creative ways to generate money. I grew up in an area where, honestly, people survived on the basics. And then all you had to do was just use your brain a little while longer to find the solution,” recalls Akon. While he agrees it can be a lot more difficult to get a business off the ground without capital, those entrepreneurs who think strategically from the start will be better off. He notes that today young people do not need to go to Europe or America to seek out opportunities. “It’s all sitting in Africa. Everyone is looking to Africa to invest in and to bring in opportunities. You should be there to catch them,” he emphasises.